The president is selected by a prescribed process to serve for a specific term of office (June 1 to May 31). 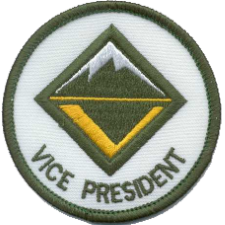 The vice president of administration is appointed by the president-elect (for a term concurrent with that of the president), and serves at the president’s discretion. 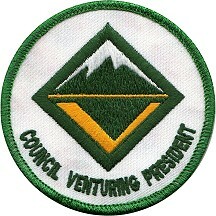 The vice president of program is appointed by the president-elect (for a term concurrent with that of the president) and serves at the president’s discretion. The vice president of communication is appointed by the president-elect (for a term concurrent with that of the president) and serves at the president’s discretion. Works with volunteer Advisors and staff Advisors of his or her own VOA and with Venturing presidents at the tiers above and below him or her. Motivates and coordinates the three vice presidents and any other appointed VOA members in assigned tasks, and conducts meetings with them as needed. Keeps contact with VOA alumni for future mentor or Advisor roles when needed. Actively studies and remains aware of the best way to communicate to ensure that the VOA Web presence is being maintained, updated, and scaled appropriately for effective publication of information and collection of feedback. Maintains rosters of VOA members and frequently involved persons, including as many forms of readily available communication as possible, and identifies preferred methods, making them available to the VOA as needed and appropriate.